Dr. A.T.W. Simeons developed the HCG diet in his manuscript, “Pounds and Inches“. As he was searching for ways to assist obese people in weight loss, he came across human chorionic gonadotropin (HCG) as a way to produce the weight loss results that no other method was doing. 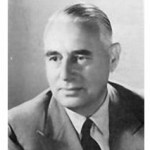 Dr. Simeons believed that overeating was not the cause of obesity, only the result of it. By lowering the overweight person’s appetite, Dr. Simeons believed that people could lower their weight. The calorie restrictive HCG diet gives a list of foods and beverages that can be consumed each day, along with a specific amount of each. Coming up with creative and appetizing meals out of these suggestions can be difficult to do for a sustained length of time. Learning to combine the acceptable ingredients and portioning them out is a skill, but there are websites available to assist you in learning the ropes. An easy recipe idea that does not appear to break any rules is made with boiled shrimp, which you then toss with lemon juice, a bit of garlic, chopped onion, tomato, and cucumbers, and a touch of sea salt, pepper, cilantro, and parsley for enhancing the flavor. Go with the HCG guidelines to make certain of the amounts. Another way to mix it up is to use a non-stick skillet to stir-fry a different combination of ingredients together. 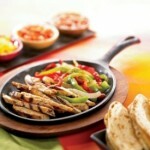 Fajitas can be made with a chicken or beef sliced thinly and mixed with some sliced veggies. Be creative with the seasonings, but also check to see if they are adding any forbidden calories to your meal. Your fruit options per day are very limited, but why not make a fruit salad or a fruit smoothie with fat-free milk. Combine chopped and cooked chicken with apple chunks and shredded lettuce for an easy lunch idea, and you could even sauté chicken breast with orange slices and serve with grilled asparagus. The options are endless if you work at it, at there are many new variations to the original Dr. Simeon’s HCG diet to work with people with food allergies and other concerns that make it difficult to follow the original plan. 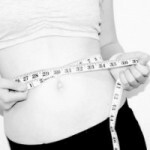 The HCG diet is something that most people look into trying since it does produce weight loss results. 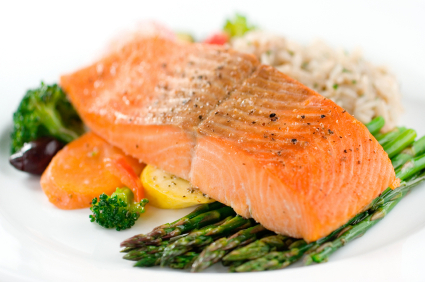 However, many people wonder just what can you eat while on the HCG diet. There are numerous options of what you can eat, however, you must keep in mind that the idea is to only eat 500 calories a day in conjunction with the HCG hormone shot that those people on the diet take. Since the calorie count is so low, many people feel that they are limited to a diet of bread and water, however, that is not the case. For breakfast, there are no real foods that you eat. Instead, you should focus on drinking coffees and teas.Most professionals point out that drinking organic coffees and teas are the best way to go. However, you can have as much of these coffees and teas that you want, as long as you do not add anything to these except for saccharin. Which means that no sugar or cream should be added to the coffee, and no sugars to the tea. This is why getting naturally flavored coffees and teas are the best way to go so you can have some flavor in the morning. For lunch and dinner, your meal will consist of proteins and vegetables. Protein wise, you will want to eat only those meats that are cut lean such as beef or veal. Or you can eat chicken that has the skin removed. You can also choose fish to eat that is low in mercury. Vegetable wise, you can choose from spinach, cabbage, cucumbers, tomatoes or celery. The important thing to remember about these vegetables is that you do not want to fry or cook this with some type of oil. Instead, steam, boil or grill these vegetables. You can also choose to eat them raw, however, most prefer to cook them. IN addition, you are only allowed one vegetables with the protein of your choice. You also have a few fruits to choose from that you can add to your lunch or dinner. For example, a small apple, grapefruit or strawberries can be added to the meal in order to make it more filling. When choosing what to eat for lunch and dinner be sure to choose a different protein and vegetables for each meal that way you are getting a different source of protein with each meal. If you find that you are still hungry throughout the day, then drink plenty of water. In fact, you should continuously drink water in order to curb your appetite. 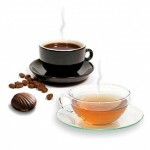 Tea or Coffee in any quantity without sugar. Only one tablespoon of milk allowed in 24 hrs. Saccharin or Stevia may be used as a sweetener. 100 grams of veal, beef, chicken breast, fresh white fish, lobster, crab, or shrimp. All visible fat must be carefully removed before cooking, and the meat must be weighed raw. It must be boiled or grilled without additional fat. Salmon, eel tuna, herring, dried or pickled fish are not allowed. The chicken breast must be removed from the bird. An apple, orange, or a handful of strawberries or one-half grapefruit. The same four choices as lunch (above). A major part of the diet involves taking HCG supplements, so you will need to stock up on this before you begin the program. You can find HCG in both oral and injection forms and can purchase them either online or from the local pharmacy. Keep in mind, however, that you will likely need a prescription if you go to the pharmacy. Make sure you get enough to see you through to the end of your diet. It is vital to take your measurements and weight before, during and after the diet. This way you will be able to track the progress and keep motivated. In order to do this you will need to buy a good bathroom scale. When weighing yourself, remember to do so in the morning before you’ve had anything to eat or drink. It is also important to have a measuring tape so that you can take down your basic measurements such as your bust, waist, hips, thighs and arms. Finally, buy a plain notebook to jot down the numbers everyday. You can also use this journal to record your meals so that you can review it if you start to have trouble dropping weight. A food scale is also necessary in order to measure out your food portions. You can find these from any department store or specialty kitchen shop. 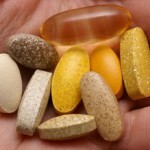 In addition to the HCG, you may also want to start taking supplements to go with your diet. To strengthen your immune system, buy a good multivitamin and take as instructed. You may also want to get a calcium supplement as dairy is restricted on the diet. Other supplements to consider include vitamin B-12, fiber and vitamin C.
Diets can get tough at times, making it hard to keep going and seeing it through to the end. Before you begin your diet, arm yourself with the tools to keep your motivated before you even begin to flag. One way to do this is to take “before” pictures of your body and paste them in your journal or in the kitchen. This way you can look at it when you are feeling low and remember what you are seeking to achieve. With the proper preparation you will be amazed at what you can achieve on the HCG diet. The HCG diet program has become very popular recently with people looking to lose weight and get their lives back on a healthy track. The HCG hormone naturally occurs in the body and is found in high quantities in pregnant women. It is only natural that men interested in embarking on the diet would want to know if it is safe for them and whether or no there are any harmful side effects. This article is here to help address those concerns and answer any questions you may have about starting the HCG diet plan. Is It Safe For A Man’s Body? While HCG is commonly found in high amounts during a woman’s pregnancy, it also occurs in men in the testes. 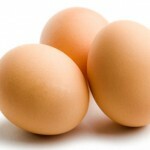 The function of HCG is there to help regulate testosterone in the body. When taken at a higher dosage, the HCG helps to break down abnormal and excessive fat in both men and women. It also interacts with the hypothalamus to keep you from getting hungry or from having cravings. Because it is naturally occurring and homeopathic, there are no harmful side effects that you need to worry about. The only negative effects you might experience are the kinds of things you would feel when you begin any diet such as body fatigue and mild headaches. These usually tend to pass very quickly as your body adapts to the diet. There might be some side effects that occur if you decide to take the HCG injections rather than the oral drops. The effects might be soreness and tenderness in the injected area and visible bruising. There have also been a few cases where men have noticed an increased restlessness after taking the injection, but this tends to be a rare occurrence. If any of these symptoms or side effects become bothersome or worse overtime, it is recommended that you consult your family doctor or physician to see about alternatives such as taking the drops orally. In general, the side effects for men on the HCG diet program tend to be very mild – if they occur at all. This is because the formula is natural and homeopathic as compared to other diet pills and powders that are loaded with chemicals. However, as with any diet supplement, it’s important to pay attention to your body. If you experience any negative side effects, be sure to discuss the problem with a qualified medical professional to explore alternatives. When Dr. ATW Simeons first outlined the HCG diet program, part of the essential first step involved “loading days.” The loading days consisted of two to three days of consuming as many high-fat foods as possible when beginning the injections. Dr. Simeons wrote that is was completely necessary for a successful diet and that skipping the loading days or consuming too little fat could slow down the weight loss or even cause the dieter to fail. The reason the dieter must load up on the fat for the first two or three days is in order to get the fat reserves stocked up and ready to be metabolized. When the dieter starts the injections, they don’t actually start to kick in until the third shot, which is why it is a bad idea to begin the 500 calorie diet from the get-go. If you were to start the diet with the first injection, you would feel hungry, experience high cravings and have a depletion of energy. Not only that, but your metabolism won’t be working at its hardest, making it that much more difficult to get rid of the excess and abnormal weight. A lot of dieters are reluctant to eat fatty foods during the first two days because they are afraid they will gain weight and not lose it. Also, fat tends to have a big, bad stigma attached to it. However, there are some really healthy ways to get fat into your body. 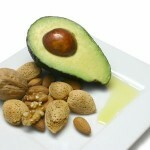 Try eating oily foods like avocados, nuts, oily fish, red meat and olive oil. Just because you need to consume large amounts of fat does not mean you have to be completely unhealthy. Today more and more people are opting for the homeopathic oral HCG drops over the injections. With the drops, it is less necessary to partake in the loading days. However, it is still a good idea to prepare your body for the strict, low calorie diet you will be participating in. 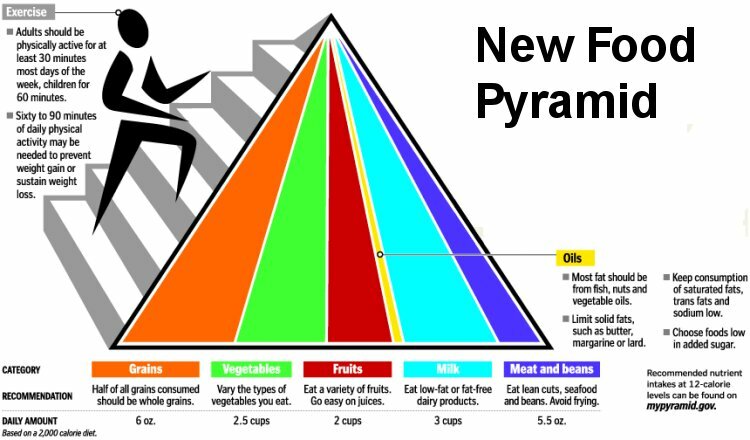 You can do this by cutting out certain foods here and there in the week or two leading up to the diet. These can be small changes, like not drinking cola, switching to fat free salad dressing, cutting down on carbohydrates and more. Whichever path you choose, it’s important to prep your body so that you get the best results from your diet. If you do, you’ll be amazed at what you can accomplish and will see .5 to 2 lbs of weight drop off everyday. As you begin your HCG diet, you will start to become more knowledgeable about what food is good for you, and will also begin to develop a taste for healthier foods. Because the diet is quite strict, you’ll begin to see what works and doesn’t when it comes to dropping weight and living a healthier life. At the end of the diet, you will have a new outlook on food and a much healthier, more sustainable relationship with it. However, it is a process and as a result you may experience hiccups and setbacks along the way. Take a look below for tips on how to stay on track and avoid temptation. Before you begin your diet, take small steps that will ensure your long term success. For example, you may want to begin by cutting butter out of your diet, switching your salad dressings to fat free versions, reducing your carb intake, etc. By making little changes before the diet begins, your body will be ready to handle the very strict HCG diet regime. Plus, once the diet is finished you will have already developed much healthier food habits. Switch to low fat meats like fish, chicken, turkey and lean cuts of beef. Bake your foods instead of frying them. Baking requires less oil. Move down to fat-free milk. It may be hard to go from whole milk to skim/fat-free so gradually make this change by going to 2% then 1% until you are comfortable with fat-free milk. Also use low-fat dairy products like cream cheese, cottage cheese, and sour cream. Cut out junk food. This is hard to do so you may want to gradually cut back but remember to make that gradual change sooner than laterso that you are off of it completely. 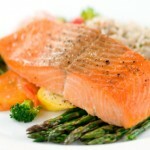 When cooking for yourself you can adjust your recipes to cut down on high-fat ingredients like oil, butter and cheese. The kitchen can be a place of big temptation, which is why you need to make sure your kitchen is organized for success. 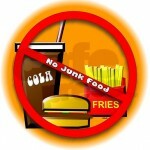 The first thing to do is get rid of any fattening, sweet, salty foods and snacks that may become a temptation for you. Next, make sure all the food is stored away and out of sight. This way you won’t be thinking about food when you have to pass through the kitchen. Finally, try to stay out of the kitchen unless you are preparing your meal. 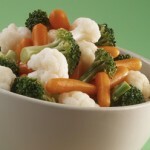 If you absolutely must have a snack, be sure to have some fruit or raw veggies on hand to keep you going. 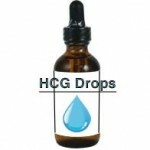 Make sure to also have enough HCG drops on hand to carry you throughout the entire diet. Many people begin their diet with just a couple of ounces of HCG. After a successful week they wish to continue the diet to lose that last few pounds, but can’t because they have run out of HCG drops. Set your self up for success and purchase enough HCG because as mentioned earlier, it really is the secret formula to this amazing diet. One of the reasons people put on weight is because they don’t make conscious decisions about what they are putting into their mouths. When you are on the HCG diet, it’s important to think about everything you consume. The food is there to give you fuel, make you healthy and help you lose weight. If you find yourself drawn towards food out of a bad mood or boredom, take a step back and address those feelings instead of stuffing your mouth. It is also important to eat at regular meal times and without any distractions. Focus on what you are eating instead of watching tv which can cause you to overeat without realizing it. With just a few tips and techniques at hand, you’ll be able to get the most out of your HCG diet program and combat your bad food habits. While it may seem difficult at the beginning, remember that it does get easier. 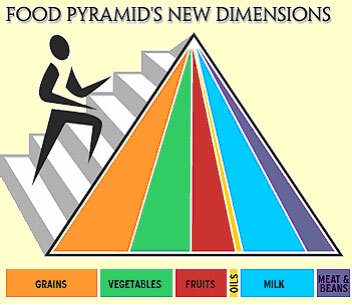 By the end of the diet you’ll have a completely new outlook on food and much healthier eating habits overall. The HCG diet has proven to help many people shed excess weight and live healthier, happier lives overall. The diet program has also proven to be extremely beneficial to individuals with certain pre-existing health conditions and problems. It turns out that the program is even helpful to people with diabetes who are looking for a way to lose weight and still manage their health. What type of diabetes you have, and the extent of the problem, determines whether the HCG diet program will be good for you. There are two different types of diabetes: Type 1 diabetes and Type 2 diabetes. While both types can benefit from the program, people with Type 2 diabetes will benefit greater than those with Type 1. People with Type 2 diabetes will have bigger benefits from the HCG diet program because they are not insulin dependent. This is the most common form of diabetes and excessive, abnormal fat is often a big contributing factor. Because of this, most people with Type 2 diabetes are encouraged to embark on a weight loss management program anyway as a way to help get the problem under control. After discussing the plan with a physician, you can start the HCG diet which will see the extra pounds begin to drop off immediately. This results in better blood pressure levels, improved blood sugar in the body and less strain on the heart. You will begin to see these positive results in a matter of days, with the stabilization of glucose in the body dropping to normal levels within weeks. If you are pre-diabetic, you will absolutely benefit from the HCG diet program as well. In addition to shedding excess weight which is a huge contributing factor in Type 2 diabetes, you will also be eating much healthier foods. 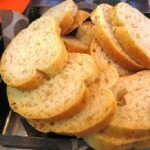 Part of the diet plan involves restricting your carbohydrates and eliminating sugar all together. By losing weight and eating better, you will lower the blood sugar in your body and prevent you from developing long term health problems. Whether you are pre-diabetic, have Type 1 or Type 2 diabetes, you will benefit from the HCG diet program. 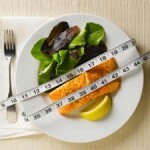 The combination of weight loss and healthy eating habits will help to improve your health dramatically. Just as with any diet or fitness program, be sure to consult your physician first. If you are taking any medication, be sure to discuss how it will affect your diet and whether or not you can reduce the amount once you start to see the positive effects of the diet. While as a diabetic you may be use to injections, we recommend HCG oral drops because of these advantages. Also be sure to check out our reviews of the best hcg diet drops.